This is likely a week too late. All the same, Ghostbusters was on the other day and it got the wheels turning. I always wondered why the most evil demigod in the underworld looked like a cross between an 80’s fitness instructor and David Bowie. I’m well aware that Comic Sans is a horrible font. 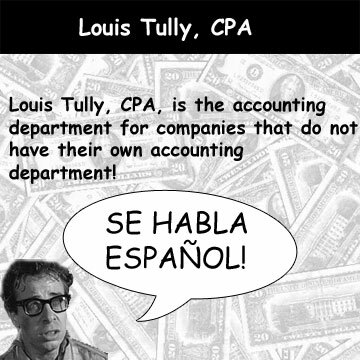 In my fictional Ghostbusters advertising world, I sort of assume that a CPA would have awful graphic design skills, particularly in the 80’s. Gott in himmel! Das ist eine Nazizombie! 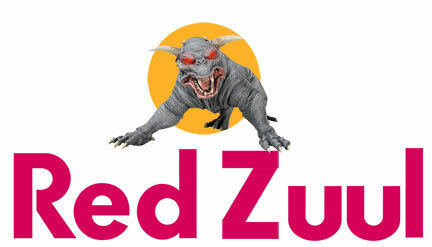 I know I’m not the only person who would drink Red Zuul; it has to taste better than Red Bull. It can’t get much worse! I will pay whatever it takes to get some Red Zuul. 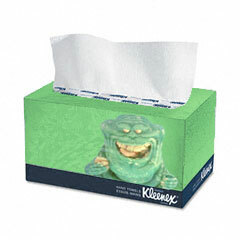 Slimer Kleenex … that should have caught on. 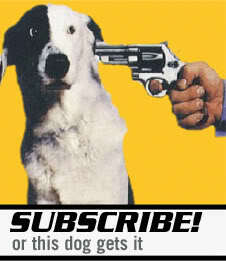 Endless advertising opportunities there. I suppose that Mucinex- the ads with the talking boogers- sort of beat me to the punch. 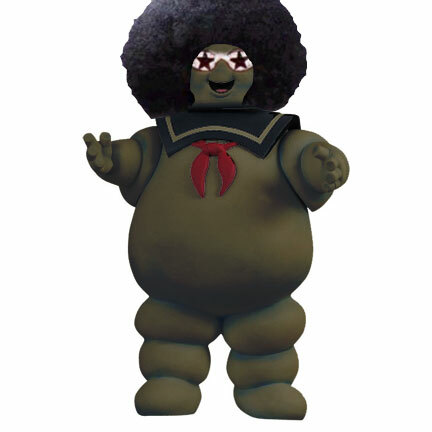 True fact: Those are actually Bootsy Collins’ glasses photoshopped onto the Stay Puft Marshmallow Man.